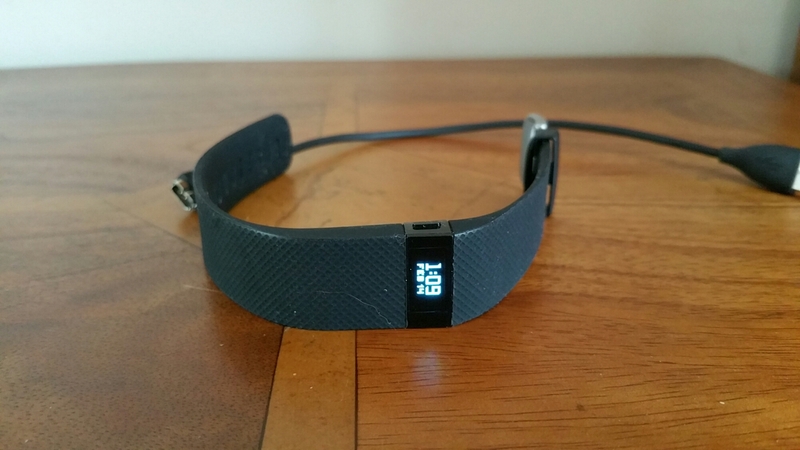 Today, I am going to review the FitBit Charge HR with comparisons to all the other wearables I have used, including the FitBit Flex, see link https://gavinsgadgets.com/reviews-accessories/ to read up on all the other smartbands, watches and fitness devices already reviewed on Gavin’s Gadgets. Charge HR builds on last year’s Flex fitness band with a bright blue OLED display, advanced sensors which include an altimeter for counting stairs climbed and optical heart rate monitor dubbed “PurePulse.” The FitBit Charge HR tracks steps, distance, calories burned, and floors climbed, It also takes into account motion and heartrate in its sleep analytics, meaning you don’t have to press or tap anything to tell it you’re about to go to sleep. It is water resistant—that is, sweat, rain, and splash-proof but not waterproof. 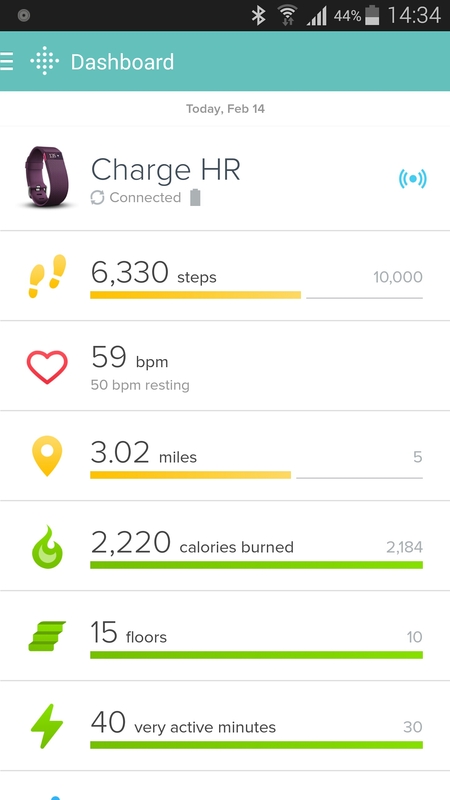 Below are the home screen layouts for the Fitbit app on android. This looks the same whether on iOS or windows phone. What makes the Charge HR special is its real-time heart monitoring capability. This means it knows if your in fat burn, cardio or peak zones when exercising. When you have told it you’re in exercise mode the heart rate measurements are taking every second. The FitBit has three special heart icons displayed next to the pulse rate readout which displays which mode your in – fat burn, cardio or peak zones. When you have not activated exercise mode the Charge HR takes readings at five-second intervals throughout the day and this can be analysed later on a graph. There is also the ability using the app to adjust the heart rate banding in the different zones. This could be if you are a super athlete with significantly different bandings for your heart rate in the respective zones. The Charge HR has an OLED screen. One press shows me the time and date (this is customisable), next press is steps, then current heart rate, distance travelled and calories burned. And that is all it does. It can vibrate for call notifications and sms, and for silent alarms. I do not use these features at all. My wife has the previous generation of FitBit, the Flex. 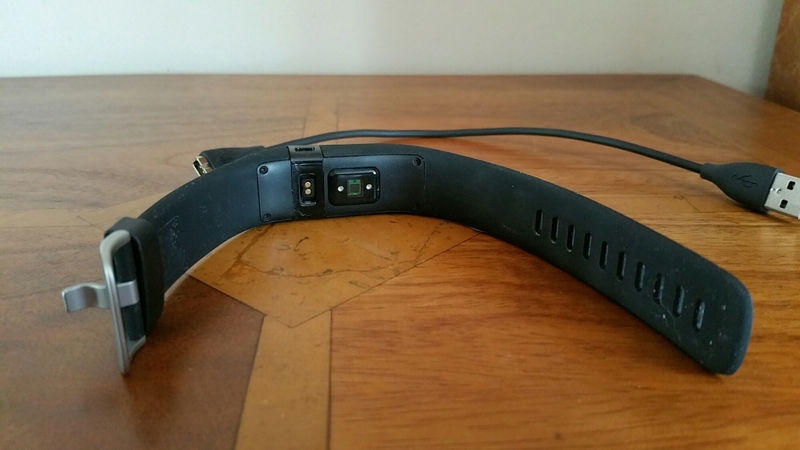 The Flex does not have a heart rate monitor or OLED display. The Flex has an different strap which is not as easy to remove or attach and could come off by accident. It also does not know when you are sleeping, or in a particular zone. You have to tap it to activate sleep mode. The sleep mode is not as accurate as the Charge HR. However, the Flex does have loads of replacement bands available from third party companies. My wife bought a pack of 10 different coloured straps for £12. With my wife using the Flex and myself on the Charge HR, there is no way in a million years that I would consider buying the Flex. The Charge HR is so much better. The expression it does what it says on the tin is very true with the Charge HR. It makes walking, exercising and sleeping a breeze. It just happens in the background. It enables me to see how I can improve my fitness and more. But as this is a FitBit it also integrates into other third party apps. 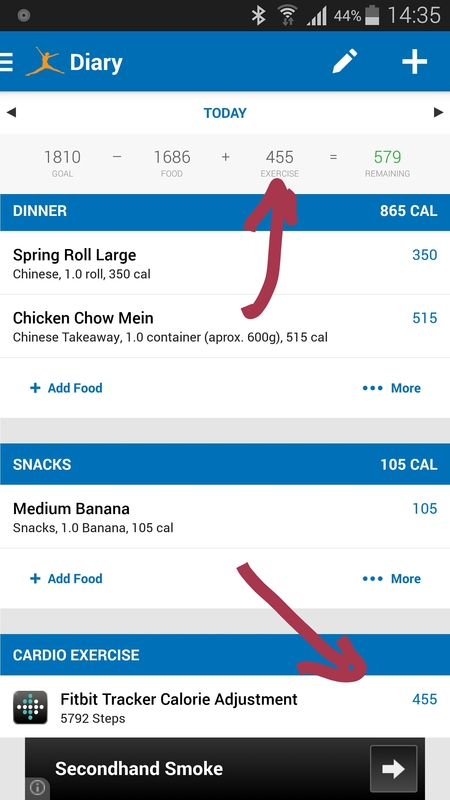 I am using MyFitnessPal to help me lose some pounds. The Fitbit talks to MyFitnessPal and then MyFitnessPal converts the steps into additional calories that is added on to my total for the day. See above. However, if I was having a lazy day, MyFitnessPal deducts calories. Using the Charge HR and MyFitnessPal in my current situation is a dream machine. It is also the best combination of any smart or fitness device I have used to date. Highly recommended. I am wearing this for 3 weeks now and I have the same impression. It is simply easy and correct enough. Hi Jill. Just a thought. In the Samsung phone settings app have you granted Fitbit notification access. Should be in one of the security menu options. 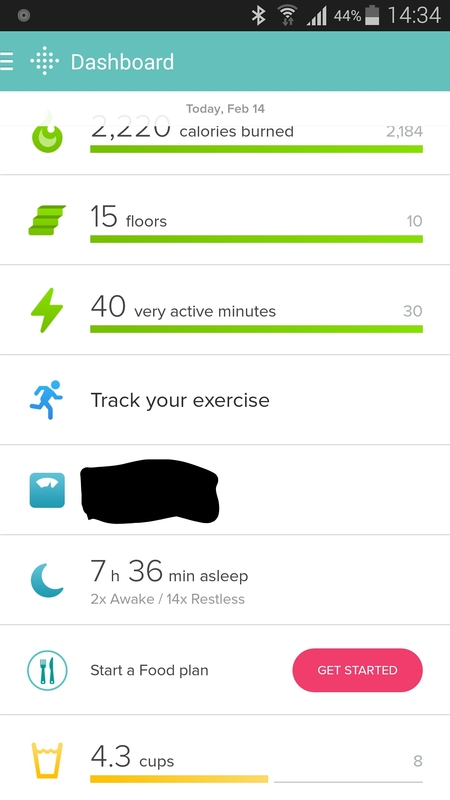 Also when you look in the phone settings app, the Fitbit should appear as a paired device.